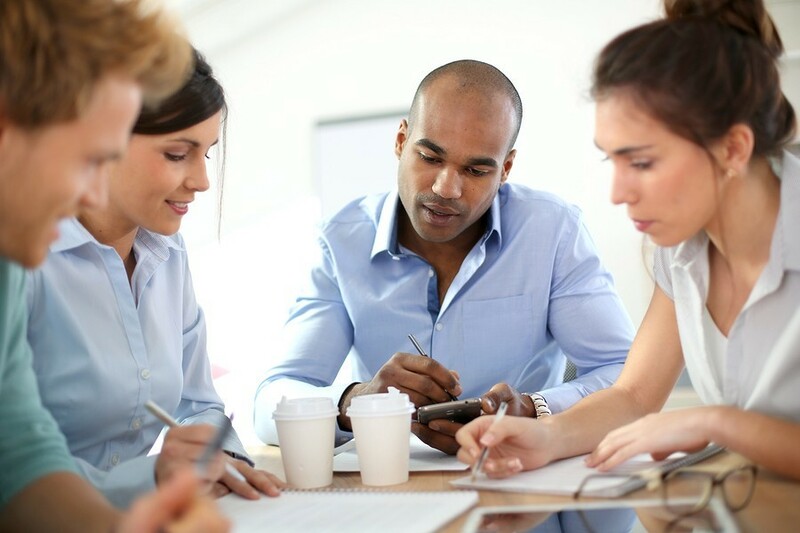 Are you anxious about attending your IEP meeting? Would you like someone to attend with you who can help you get quality services for your child. Don’t know where to start? In the beginning, this process seems overwhelming to most parents, so you are not alone. Ultimately, you will need to learn how to be an advocate for your child. Parents are responsible for looking out for their children’s interests. Information and resources are available. 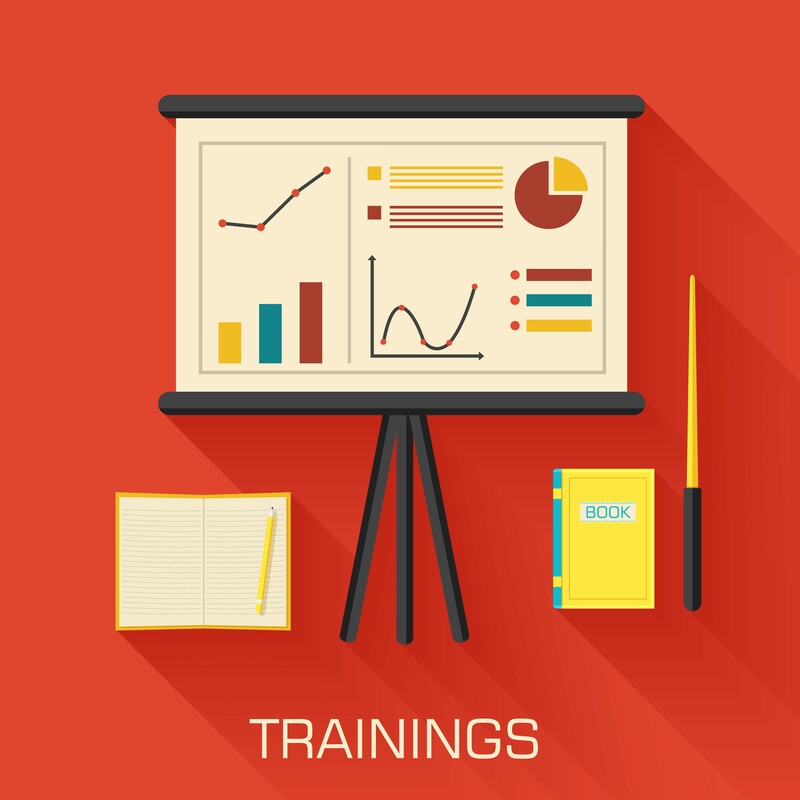 See what training your state Parent Information Center offers. If you cannot travel to training, you can train at home at your convenience with Wrightslaw Training Multimedia download. 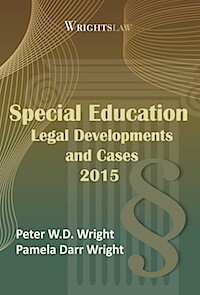 You can learn a great deal by reading articles on the Wrightslaw web site. 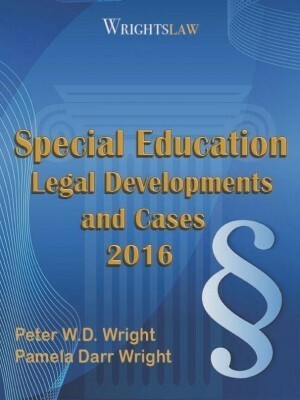 This entry was posted in Advocacy, IDEA 2004, IEPs, Placement, Special Ed Law, Special Education Regulations, Strategies and tagged Advocacy, Advocacy Resources, Parent Support, Summer School for Parents by Wrightslaw. Bookmark the permalink. I have a 10 year old in 4th grade. She has been on IEP this year. I feel like she is not getting much from IEP. My daughter has low scores in main class she gets pulled out from her main class on a daily basis. She is not in class enough to hear her teachers discussion where she is falling behind. I am not happy with the help she is getting I don’t thinks it’s good enough too easy for her. I rather continue the one on one at home with her and have her challenged in her main class. I have a meeting next week at school. I would like to discontinue services are there any tips someone can provide me with. You can discuss your concerns with the IEP team, and see if a plan can be developed that can address your concerns. If you cannot come up with a plan or it is tried, and does not help, you can withdraw your consent. You can also request that a district or outside consultant look at her situation and make a recommendation on what could be done to address your concerns and help her to make more progress. Yes wish someone would be with me to help my son. 16yr old Autistic with seperation anxiety. From games on chromebook he needs at school. He got several Ps not letter grades to continue to college. He has IEP teachers don’t know how to help counselor for 15 minutes a wk for Support doesn’t help. I don’t know how to help him. My friend’s son was placed in another high school in our school district to receive services as his behaviors were escalating in his home school setting and a change in placement was recommended. His new placement was successful in improvement in IEP behavior goals and the parents saw a positive improvement in their son’s attitude about school in the new placement. The IEP for next school year didn’t address the school placement only goals even though the parents asked that the placement in the current school continue. They requested a variance in the attendance zone regulations for their son to continue in the same school (the school is next one nearest to home school) but this request was denied. ?Write a letter to spec. ed. 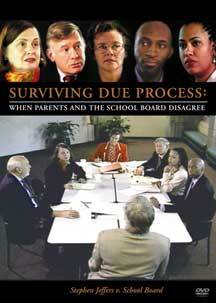 administrator requesting another IEP meeting or mediation? It is my understanding that the IEP can only say the type of class not the physical location. So you may want to request an IEP to make sure the minutes of services are in the appropriate type of setting. De todos los recursos tan valiosos que ustedes proveen, existe alguno en español? ? Existe grupo de padres orientadores hispanos? Chuck – thank you so much. You may also use the “Google translate” button on the top left side of this Blog and the top left side the website at http://www.wrightslaw.com. The articles and information provided will be translated to Spanish. The school has been payiing for a unique placement for my son for the last four years WHTOUT an IEP (I filed a 10 day letter of intent to place him in a private school at public expense and then we mediated). The term of that agreement is up. Now they want to have an IEP and state they aren’t sure why there wasn’t one for the last four years. My son has made TREMENDOUS progress. I’ve instituted stayput but now they want to also change the agreement which would also change my son’s graduation requirements …to include additional courses and tests he should have taken several years ago…that he wouldn’t pass now due to being finished with the content area (ie math) How do I even begin to approach this? 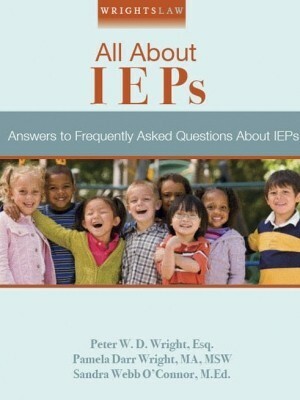 Is it legal to take a child with an IEP in OK state, out of his regular daily science class everyday for 3-4 weeks, in order to prepare for the state test? He is good at math, always As, yet he is preparing for state test. His math grade will be accounted for a science grad in which he has a D. He never does homework & plays around in class, but never gets consequences for this. No one communicates with me! They told him to tell me, but he couldn’t explain. He’s 12 with autism, ODD, ADHD. Who decides this? How can a parent not be involved in this? So in a month, he goes back to science. How can he catch up to know what is going on in science class? Won’t this put him further behind in science? Monica, The first thing I would do is schedule an IEP meeting to go over the progress of your son. Explain to the person setting up the meeting that you intent is to go over the reading program that they are supposed to be doing. If they come to the meeting without any results you need to discuss this and get a commitment as to what they are doing. They must follow the IEP. It is the law. If not they must provide you with an explanation of what is going on. My son had to take the reading test without someone reading to him because it was against the state rules and of course he did not pass the test. We were able to exempt him from the consequences of the state testing. He had to take the test but it did not count against him towards his graduation. 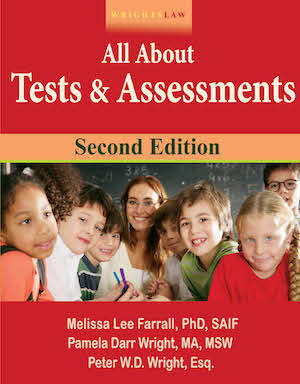 I need help, my son has reading problems and they say that the reading sol cannot be read to him. Is that true? And they told me and it was on his iep they were going to start a reading program. They never started the whole year. It was one excuse after another and he is sick to his stomach about the reading english sol. He is in the 6 th grade. I was looking for a free downloadable book if you have one. We are having some big problems with a school. And they are trying to strong arm us into doing what they want. 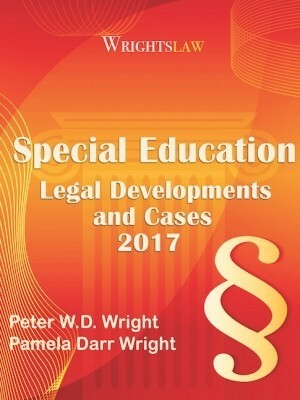 Frank: We don’t have ‘downloadable’ copies of our books, but all the information on Wrightslaw.com is free. You can download and print any page. 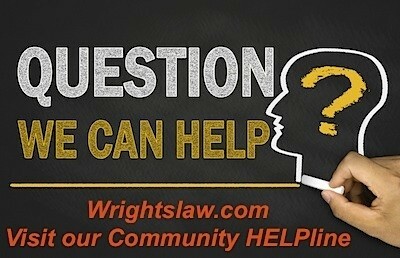 You’ll find a listing of topics here – https://www.wrightslaw.com/topics.htm Many of the topic pages have listings of free pubs. Here you will find a comprehensive listing of free newsletters: https://www.wrightslaw.com/links/free_nwltrs.htm and free publications: https://www.wrightslaw.com/links/free_pubs.htm. My Autisic child is 17 and have had help through the years but now the behaviors are really kicking up and new teacher who wants to be in control of everything. I feel I am being slammed and feel they are on the side of the teacher not to make rifts. Any suggestions before transition to adulthood. No it is not true. You are allowed to bring whomever you want to bring and they can speak for your child the same way you can. My son, a junior in HS, is a person with Asperger’s. He has been on an IEP since pre-school. He is currently fully included in his high school including two honors and one AP level class. Somehow, neither his educational nor psychological evals have been updated since his 2nd grade triennial. We have just been asked to schedule his annual IEP. We are goign to ask for these evals to be updated, mostly because we will need something current to take to college next year. Of course the school system doesn’t want to provide them for that purpose. Since we have apparently OKdf not getting these updated in the past, are we within our rights to ask for these outside the triennial? IF yes, should we ask for them in advance of the IEP meeting or at the meeting itself? What other advice can you provide for us? You should submit for a multi-factored evaluation and with that you should get a copy of the evaluation team report. If they have not done so with him being 17, should have post secondary transition in his IEP ( #4 & 5) and have had future planning. Normally a MFE/ETR are done every 2-3 years. Just because you said no on one occasion, does not mean you can not request it be done. Request it in writing, the have 30-45 days to evaluate and call a meeting to discuss findings and address if any amendments to the IEP are necessary. 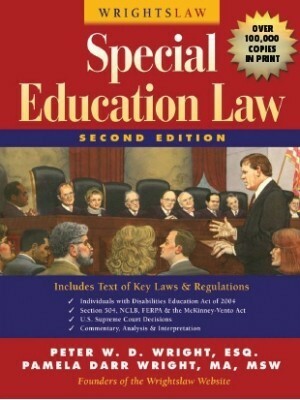 I am looking for the specific law focusing on regular ed teachers following/not following accomodations on an IEP. I am a SPED teacher dealing with a regular ed teacher who does not want to cooperate in implementing the accomodations. 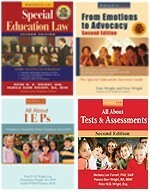 I have relayed the importance of following the IEP and the law, but I still have resistance. I want to be able to show the exact law but there is so much, I’m not sure where to look. The NM PTI has Adobe Corp Volunteers who assist parents with letters & attend meetings with parents. The North Carolina, Oregon & Louisiana PTI’s provide parents to attend IEP meetings. I believe that I have seen some other PTI’s that provide this, but I am still looking. All of these organizations offer workshops/conferences for parents. Most of them are FREE! I am not sure about any of these organizations attending IEP meetings, but parents KNOWLEDGE is POWER! We can become effective advocates for our children. Attend workshops, just like Pat Howey said, behave as if you were trying to catch the flu, expose yourself to as many opportunities to advocate as possible! Also, SC has a new pilot project-IEP Facilitation-since it is only a pilot project, it is only available a few counties right now. We have been advocating for our son, teachers, administrators and medically related providers for 10 years. We keep getting back to two overarching guiding lights. The first is very hard to do but wrights law and publications have helped us – always be data driven, and put your emotions on hold during interaction. Share emotions with family, spouse, friends, but not the IEP team it – no one can dispute data. Secondly, you as the parent are the sole drivers of your child’s life. It does take a village and many resources to raise a child, but the buck stops here is the best credo I can think of. We have veto power as well as team building power. Our success has come from working from the inside to help build plans and programs with the team and vocalizing our disagreement, based on data. Thanks for writing about supports that are available in your states: Texas and Ohio. The purpose of the Wrightslaw Way blog is to help people develop creative strategies for solutions to problems – by asking and answering questions and getting advice and information from others. Now, only 48 other states to hear from. 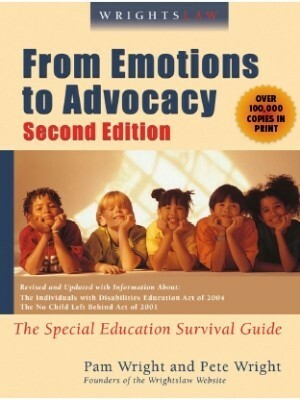 Educate yourself on your rights, your child’s rights, and also the rights the school has. We have been fighting our schools for 11 years now. When they do not agree with our professionals it is a constant battle. Teachers who are unqualified to diagnose believe they know best. You the parent, know your child best. Fight for what will make his or her education easier for them. Our school must provide our son the education he deserves no matter what their inconvenience. They get funding, make sure they use it for your child’s education. Above all, do not be intimidated. We are always out numbered but my husband and I stand strong together to make certain the results of the meeting are best for our son’s education. Using a mission statement for what it is you are trying to accomplish will keep you from the common power struggles. We want our son to receive meaningful educational services that would allow him to go onto higher learning and be independent to the fullest extent possible. This means only considering proposals that offer an educational benefit that is measurable and contributes to this goal. Advocates can be helpful but I would use them as your on the job counselor. Your child’s disability goes beyond school and you need to be their advocate for success in all areas of life. There are no spectator seats in advocating for your child’s success story. The rewards are plentiful and obtainable. The folks at the Oklahoma Disability Law Center recommend that parents bring their religious leader – pastor, priest, rabbi. The family religious leader knows the child and wants to help. The presence of a religious leader tends to have a calming effect and leads people to be more polite and respectful.